Another piece of the puzzle looks like it’s falling into place with the production of the draft Cycle Design Guide by the Christchurch City Council. This was presented to Council’s Environment & Infrastructure Committee on Thursday, who broadly endorsed it for (hopefully) approval by the full Council in the near future. The Design Guide will provide some local guidance on how to develop future cycleways in the city, including the proposed 13 routes in the Three-Year Plan (and still The Press today perpetuated the myth about an extra $20 cycleway tax…). 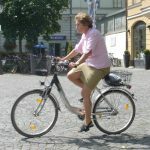 Although New Zealand already has some cycle design guidelines, and also relies on Australasian guides as well, generally they are relatively conservative in prescribing design details for ordinary on-road cycle lanes and off-road paths. Intersections on major routes get some interesting treatments suggested. There are Dutch-style signalised intersections that are designed to minimise conflicts through design and signal phasing (see here for a really useful video explaining it all). Another option is to provides a “Barnes Dance” similar to pedestrian ones, which allows riders from all directions to make their desired movements while other traffic is stopped. The Design Guide even deals with little details like how to get a cycleway around a bus stop or past driveway crossings. It also incorporates clever things that we are already making use of, such as hook turns, cycle lane separators, and cycle crossing detectors. What do you think of the proposed cycle design layouts? Sounds promising, any idea when the document is made public? I can I suggest that we in the cycling advocacy community start using the word “greenway” to mean off road facilities (parks, rivers, and the currently proposed “major cycleways”). So we align with our cousins in Auckland, and Oz. I have put some links below. This has the added benefit of highlighting other benefits of the “major cycle routes”, since most of them will in places also be great for walking, running, picnicking, other active outdoor activities and make good corridors for biodiversity and storm water management. Thanks for the link. I’m not sure about the Dutch intersection, though the “barn dance” sounds fun. Overall it is an awsome document. My only real dissappointment was the lack of recommended speed limits. There is only a brief mention of “slower” residential street designs in a couple of places, and even less about changing legal limits. None the less, it is exciting to see some decent attention to detail. And from my doorstep, I can actually see the Ilam road changes taking place before my eyes. So some of this stuff is really happening! looks amazing! The diagrams look as if an actual cyclist has put some thought into this, which I haven’t seen in NZ before, so I think this will be an incredible improvement of things. really hope it will get all the funding needed. Thanks for the link. Excellent report. The most important cycling document that the city council has ever put out. It’s clear that they have listened to advice and submissions and researched the options thoroughly. Copenhagen cycleways and Dutch intersections – what more could you ask for? The impetus towards a high quality cycling city seems to be building. The slip lane design above puts cyclists in conflict with pedestrians. Not a good idea. And how about a right turning cyclist in that illustration? Ugh, multi-lane intersections, I hate them. These ideas are to be commended, and will probably be picked up and implemented by other local bodies around the country. They need careful review. We don’t get many chances like this! I’m interested to see how the Dutch style intersections will work here in Chch. In Holland the dominant vehicle is automatically held liable for any collision, which kinda focuses the mind of car drivers. Here it may be that our slap dash legal system will allow car drivers to continue ignoring cyclists in front of their eyes with the old “I didn’t see it/her/him” excuse providing immunity from prosecution. I really do hope I’m wrong.